But as the season wore on, I began to wonder whether he was going to get things done. 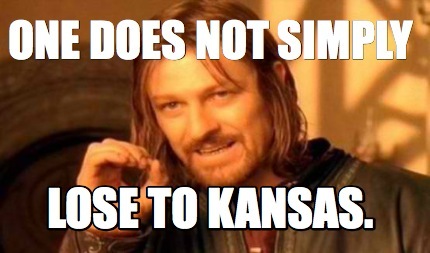 And, the loss to the Kansas Jayhawks made it clear to just about everyone that he was not the guy. One simply cannot lose to arguably the worst team in the FBS in Year Three. Those that thought he could save his job with a win over a decidedly mediocre TCU were fooling themselves. The cake had been in the oven since Okie Light, and was fully baked in Lawrence, Kansas. So, why did Coach Strong fail? Those looking for a single, simple cause are bound for disappointment. The reasons are myriad, and blame falls on Strong, on the UT administration and staff, and on Lady Luck herself. By all reports, when Strong came to Austin, he was given a “blank check” to hire assistant coaches. Instead of hiring the best and brightest, he went the direction of comfort hires. His one “branded” hire, Joe Wickline, had issues playing nice with others (both staff and players), especially after the Texas administration did not have his back in his lawsuit with Okie Lite (thank you for that, Steve Patterson). Strong also displayed questionable management and oversight of his coordinators. Most notable was the retention of OC Sean Watson after a disastrous first season, but you also can’t ignore the regression of the defense over the three years, which resulted in Strong demoting DC Vance Bedford early in Year Three. The improvement that the defense showed after Strong took over indicates that he had been covering for Bedford all these years, and the Texas job was just too big for him to be able to do so. In many ways, the training the players were receiving was fundamentally unsound. In addition to an inability to tackle (“kiss ’em as they run by”, as my Dad likes to say), they players often had no idea what there assignments were on a particular play. But it’s not all on Strong. The UT Athletic Department is loaded with dead weight, yet the football support staff was paid well under standard rates, and the number of approved positions was significantly less than that of top programs. And former AD Steve Patterson left no corners uncut, even taking away free meals from team walk-ons, generating mouse nuts savings on the backs of a bunch of people who receive basically nothing for getting their heads bashed in all week in practice. Strong also had horrific luck with injuries, most notably to starting quarterback David Ash in Year One. This last year’s quarterback, Shane Buchelle, played most of the latter half of the season injured. And by the Baylor game in Year Two, the defense was a M.A.S.H. unit. Injuries up and down the offensive line this year made D’Onta Foreman’s performance all the more impressive. To be fair, all teams face injuries, and Strong’s inexplicable refusal to bring in a transfer quarterback puts some of that blame back on him. There were, however, many things Strong did right. The culture in the program was completely broken when Strong came in. Many of the members of the team were more interested in “being” Texas Longhorn football players than in putting in the effort to become better players. Others decided that smoking some weed was a higher priority than staying on the team. They often made this decision after failing multiple drug tests. And the talent level was embarrassingly low. I’m not sure what exactly Mack Brown was doing for his five million dollar salary the last couple of years, but it doesn’t seem to have been bringing in quality athletic talent. Perhaps it’s a simple as paying the price for early commitments. If you agree to give someone a scholarship after their sophomore year in high school, you run a real risk of getting a kid who’s already maxed out their potential. I question Strong’s development and coaching of the talent he brought in, but talent it certainly is. Especially the last two recruiting classes. He left the campsite much better than it was when he arrived, and new head coach Tom Herman has a great deal to work with. I can’t wait to find out what he does with it. 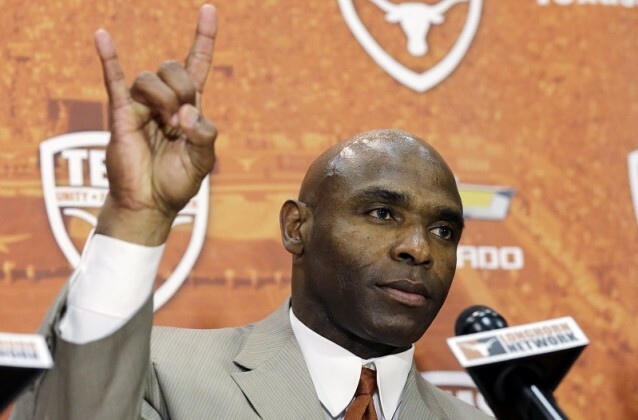 And thank you, Coach Strong, for what you did for the Texas Longhorns football program.